I thought this would be the perfect time to share the limited edition trio set created back in 2001 in remembrance of 9/11. 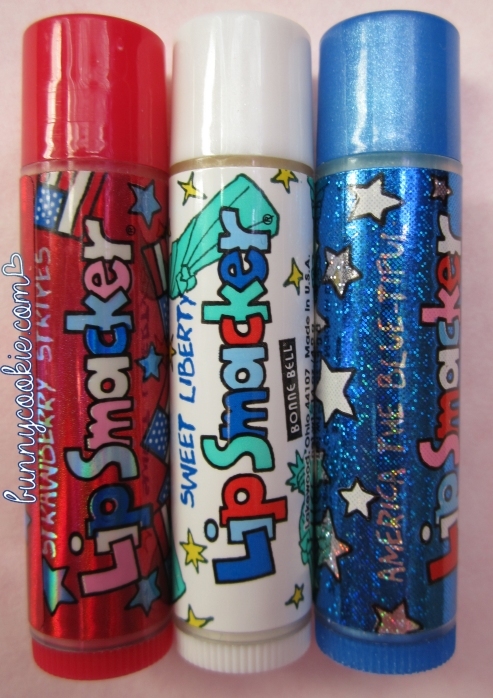 I love these because even though they were made in response to a tragic point in US history, they are still the epitome of what Lip Smackers are about– fun colors, positivity, and deliciousness. 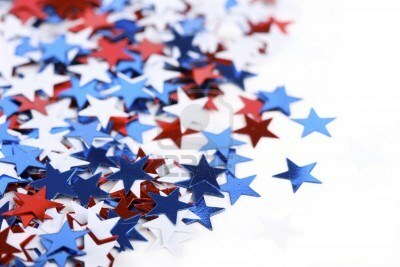 These patriotic smackers are perfect! 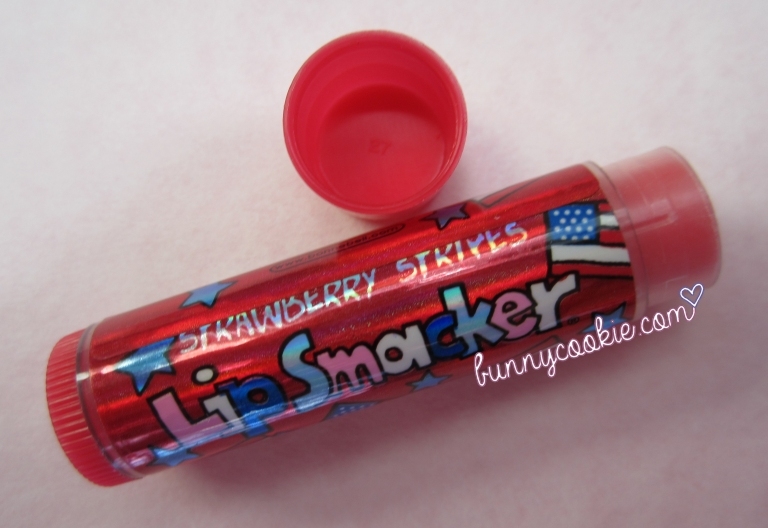 The set opens with a metallic Lip Smacker called Strawberry Stripes, and what better flavor is there to represent the color red but classic smacker strawberry? It was a milestone in Lip Smacker history and fits right at home in this trio. 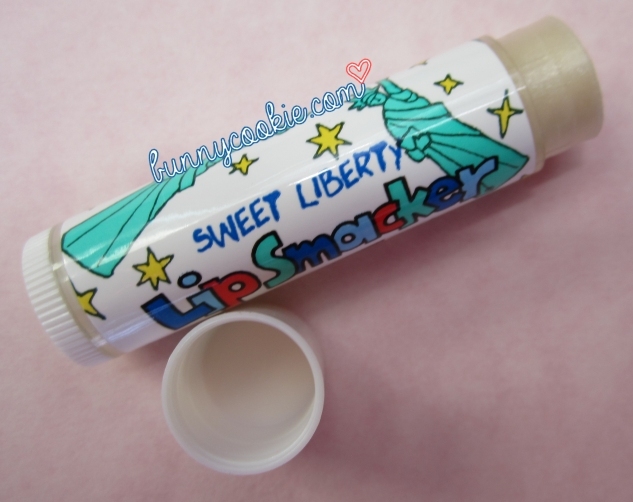 Sweet Liberty is a shimmery sweet vanilla featuring the Statue of Liberty which might just be one of my all-time favorite designs. If you had/have this set, let me know what your favorite is! these are beautiful ! I especially love sweet liberty, such a cute design. Can I ask how do you find these smackers! These look quite rare ..! These are rarer now but they still show up for sale online once in awhile! More often than you’d think. I’ll let you know as soon as I see them. I have never seen these and I also find myself drawn to Sweet Liberty and America the Blue-tiful. I agree with Mandy above, these must be rare! You surprise me all the time! I must insist that if anyone from Bonne Bell headquarters is reading this blog, please bring us back the light-hearted joy of these older graphics. The cosmics, the jewels, and the well thought out art that you can see displayed here. If I wanted a MATURE lip balm I’d buy Burt’s Bees or something equally boring! Ha, I hear you on the Burt’s Bees! 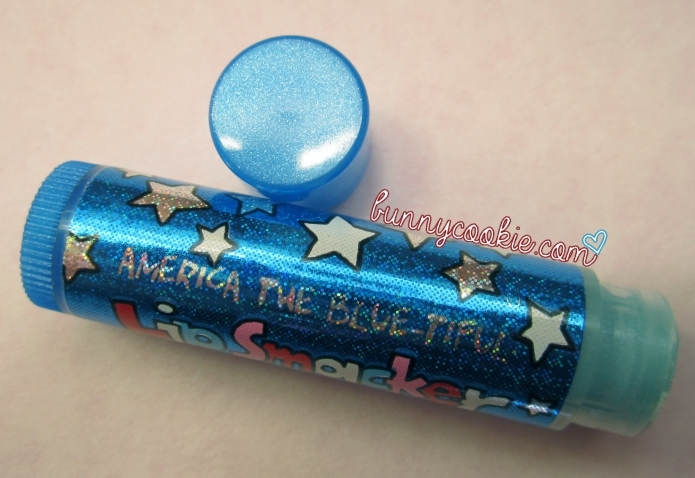 Could anyone tell me where to get these fun USA lip balms? Stripy strawberry? Sweet liberty? America the blue-tiful?? They are no longer sold in stores since they are about twelve years old now. Keep watching auction sites! If I remember correctly, I was OBSESSED with Sweet Liberty (the white one, if that’s the right name for it.) I would love to find these nowadays, but that’s a rare collection. i NEED these in my life oh my god. what kind of berry is america the bluetiful? OMG! Ihad these. 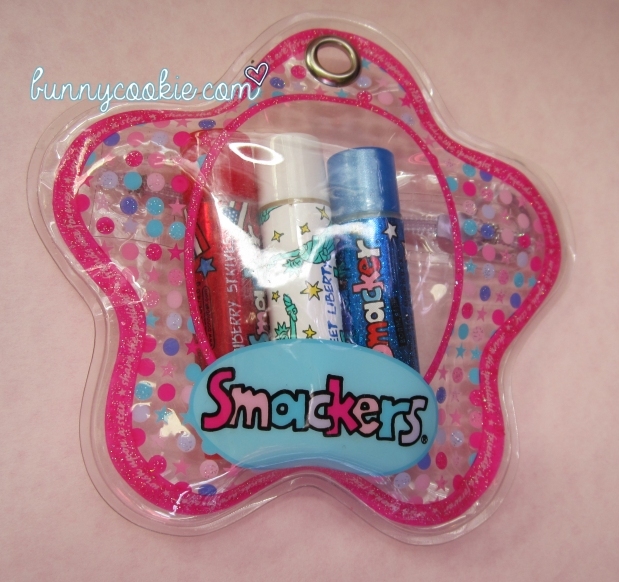 I also thought these were some of the cutest Lip Smackers ever. The weird thing is mine didn’t come in a bag, they came in the standard plastic/cardboard packaging. I bought them at Big Lots back in like 2002, so maybe they were overstock. I remember I had Sweet Liberty on me at all times til the point of the picture wearing off haha. They really are the cutest! You made me double-check the bag I store them in and now I’m pretty sure it’s from an older unrelated shimmer collection, hahah. I would really love to try all three. I agree with the others that the designs are very pretty. Just found this set on ebay- some one was selling it for $59.99. YIKES! Are you by chance selling these? I am very interested in buying.